Our guides lead pretty interesting lives. Read our 2018 guides gossip to learn what our guides have been up to this year. 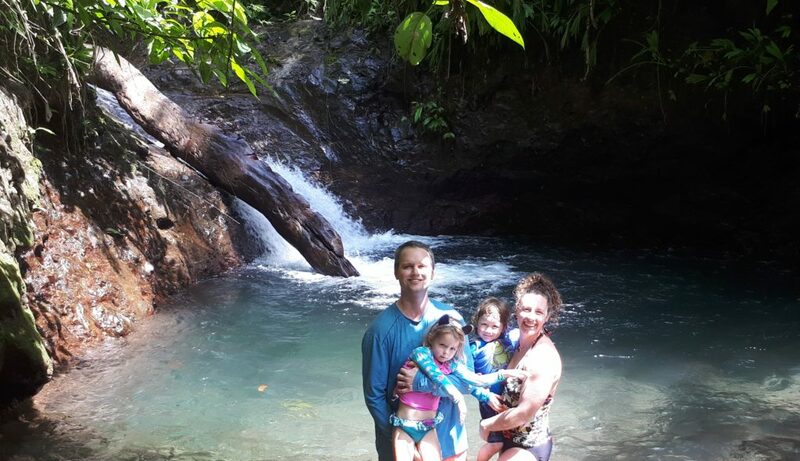 Guide Diane Gribbin and family in Costa Rica. I enjoy life in Canmore with my spouse Heather, biking, paddling, climbing a little, skiing and playing music. 2018 has brought interesting folks into our lives including our fourth grand child and many new friends. Guiding is living outside while showing interesting folks what I love about the magical places and rivers we get to explore. I look forward to the coming year and the wonderful opportunities that it will bring. Many of my dearest friends are folks with whom I’ve traveled the rivers of the world. 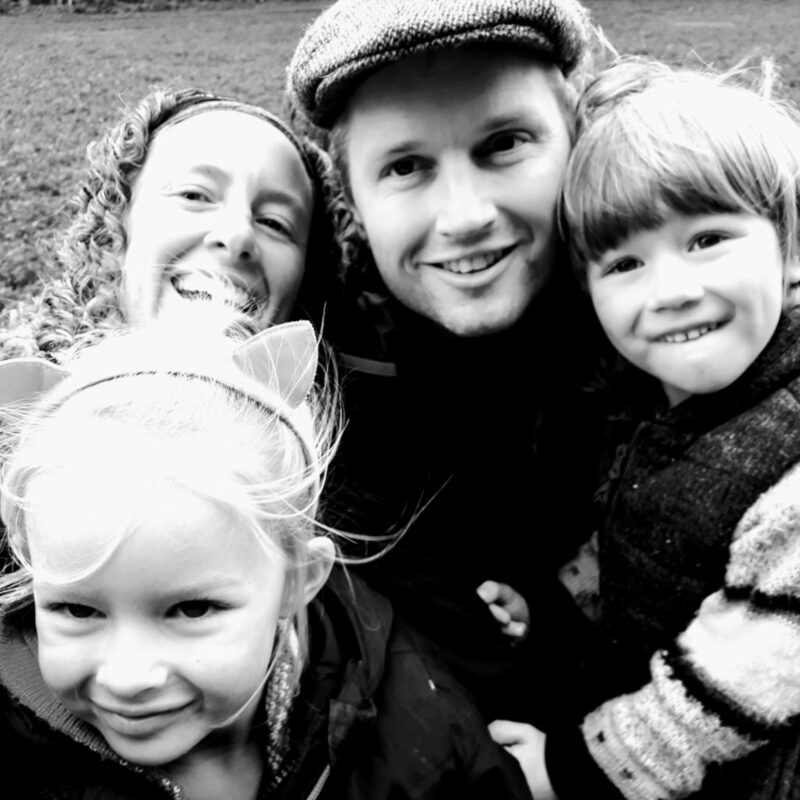 Life has been busy with our little boy Hamish who just turned 1in September. I had a great year off with him and am now back to work at Lakefield College School for year 10! Lie is good and we are looking forward to new adventures with our growing family. It’s been a busy start to the school year teaching in Victoria. 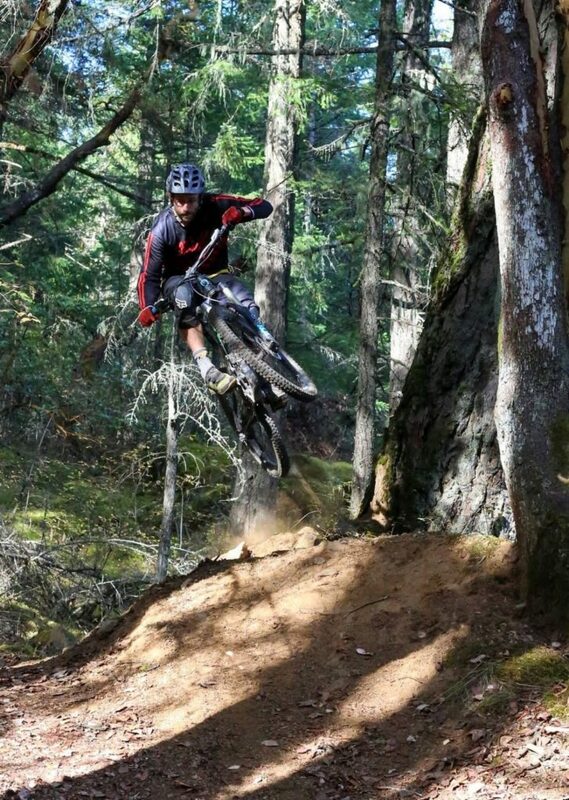 We’ve had an amazing fall full of warm weather and lots of mountain biking. Crossing our fingers for heaps of snow and good skiing this winter. Can’t wait till next summer for more river adventures. John is busy as the new Director of the Environmental and Sustainability Studies program at Acadia University and working on a book on impacts of energy infrastructure in Canada. His youngest son Callan is graduating from high school this year and entering a conservation and environmental technology program while his older son, Keeler, is in second year biology as Acadia. Greetings from backwoods New Brunswick. Linda and I are enjoying a more settled lifestyle these past few months, doing some local paddling, playing a little hockey and spending time with family and friends. Linda has been working with the Saint Croix international waterway commission. Heading to a kitchen party tonight with some local characters. After Christmas we will be migrating south to enjoy the Baja sun and a few paddling trips in desert canyon country. Spring will find us heading north with the snow geese to guide on those amazing northern rivers, maybe we’ll see you out there! For the first time in the last decade, I didn’t make it to the Arctic to guide a river expedition. 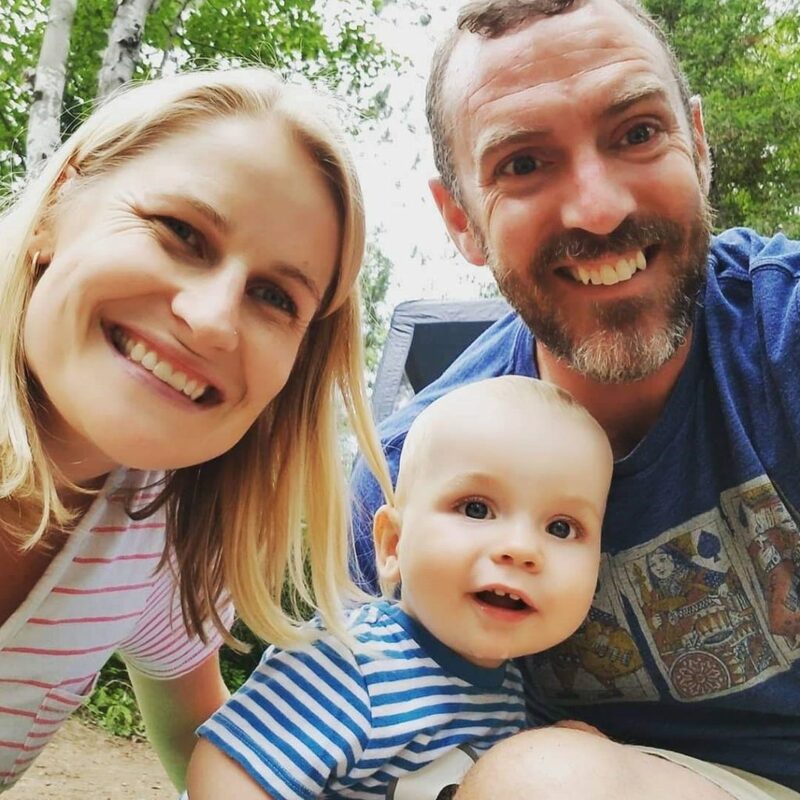 As feared, raising twin babies and a 3 year old is not conducive to abandoning one’s family and spending a month in the wilderness. I did manage an 8 day trip with Tyler Dinsdale on the remarkable and under-appreciated Taseko River, a trip we call the Best of BC. Outstanding whitewater, rich Tŝilhqot’in history and hospitality, incredible guides, amazing clients/friends, good fishing, and great weather all combined to provide the river experience I’d been craving. 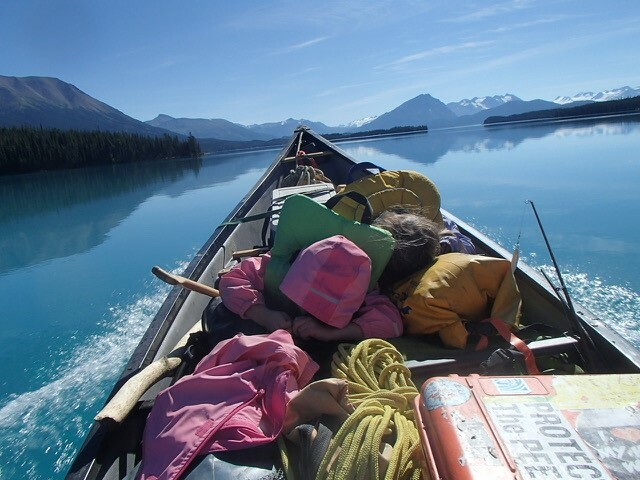 This winter I will again be pondering how continue raft guiding, raising a family, and completing a PhD. I’m hoping summer I’ll be heading back to the Arctic for a trip or two. Again this fall I took part in our local Columbia Wetland’s Waterfowl Survey. Having done this for the past few years, I feel I can now call myself a “ducker”. While my new found label doesn’t quite have the same street credit as “birder”, I believe it to be a stepping stone towards the latter. This was causing mild angst for Nadja who thought my new interest was hastening my entry into the local retirement home. However, a group of Buffleheads won her over, and now she too is surprised to find a hobby she didn’t expect to come along for another couple of decades. Greetings!!! This year we ventured to Costa Rica with our wee ones! We stayed on a local family run organic farm in the cloud forest where we all learned SOOOOO much. We explored volcanoes and hot springs, enjoyed beaches, jungles, hiking and swimming in waterfalls! Back home in the Spring we sewed lots of seeds here at Heartwood, our circular off grid recycled haven. The bears especially were very greatful for all the food (and every last plum!) while we were away. We just couldn’t seem to stop canoeing all summer! We are blessed with two of the best little trippers around. We can’t even keep up with them on the Portage trails or in the jungle! Though our unplanned organic food program to service local wildlife was a great success while we were off adventuring, we still thankfully had plenty of fall harvest for the winter which is already upon us! We have been busy on the journey of conscious parenting and presencing ourselves for these sacred early years of family life, and with Sean’s work in Indigenous relations, my practice, and training co-teaching this fall with my Qigong Master and his Master to take over instructor certifications. Peace Balance & Joy from us all! Hope you are letting love win and see you up North again soon! 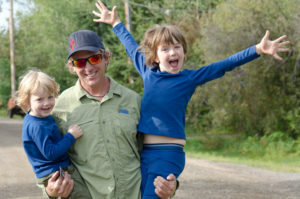 Bruce spent much of the summer paddling on the outer coast of Vancouver Island with his young family. 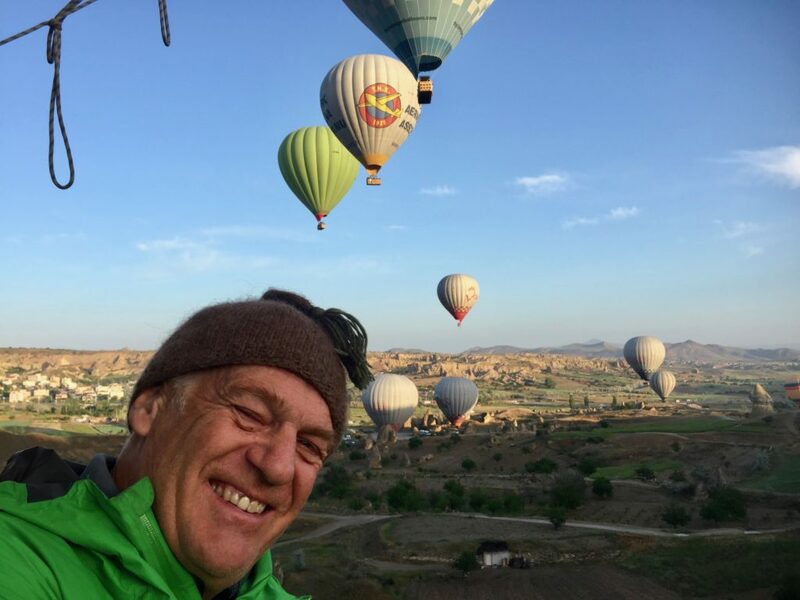 This fall he wrapped up four years of writing on a new book – Kingdom of the Sky — which details the six months his family spent living in a Himalayan Buddhist monastery, and explores themes of modern distraction, ancient wisdom and autism. (tentative release date fall 2019). On the horizon for Bruce’s family is a year-long surf journey.. and the boys are already complaining about missing school?! I Spent a good deal of time in 2018 travelling. I competed in a Biathlon in Alberta, Finland and then came back for Nationals in New Brunswick. I was able to make a dream come true paddling with friends and family in Gwaii Haanas. I am also excited about an upcoming trip to Honduras with Global Fire to teach some fire fighting skills, but also to promote awareness of mental health for first responders and share some tools for that awareness. Best of all I am stoked for August 2019 when I will head down the majestic Nahanni once again with close friends and family. I am doing very well enjoying family life in Edmonton. Olivia is 7 yrs, Scarlett is 4 yrs and they are keeping Kari and I very busy. Still working at the Strathcona Wilderness Centre organizing the programs and getting ready for the upcoming cross country ski season. Our next adventure starts in December when we are heading back to Thailand as a family to enjoy some beach time and climb some limestone. We have a lot more where that came from! Join our mailing list and we’ll deliver new content directly to your inbox. Nadine is our office manager and trip planner. She will make your adventure dreams come true in the best possible way! She is also a trained and experienced guide, and you can be assured you are in good hands. Please welcome siblings Joel and Dana to the helm! 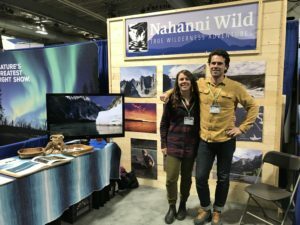 Company founder, Neil Hartling, reflects on our past and introduces the new leadership of Nahanni River Adventures and Canadian River Expeditions. 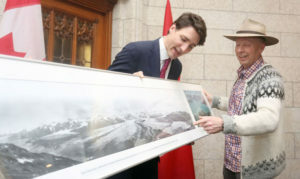 Neil Hartling visits with PM Trudeau with whom he paddled the Nahanni as part of the campaign to expand the National Park boundary. Our guides lead pretty interesting lives. Read our 2017 guides gossip to learn what our guides have been up to this year.